Said Al Ismaily, Adviser at the Ministry of National Economy and Zawan Al Sabti, a member of the Ministry's Information Technology Technical Secretariat spoke to DO about the conference and the way forward. Delegates, they said, soon realised that Oman was a serious player when copies of Digital Oman were snapped up by attendees, who were eager to learn about how serious Oman was in helping further the debate on Internet governance at this UN backed conference. Indeed, for many it was the first contact they had had with anybody from Oman. With participation from 175 countries, the Tunis phase of the WSIS conference was not an isolated event – an earlier conference had been held in Switzerland, 10 – 12 December 2003. In fact, the Tunis meet was part of a highly important process, which is changing the international rules on e-governance. Previously the organisations formulating rules and regulations were US-based bodies, because the Internet gained its world importance through development in the US, in defence, academic institutions and commercially. The UN is now stepping in to draw up codes of conduct and hence organized the WSIS events. There is now an ongoing process with a further meeting in Greece in 2006. Oman 's large delegation led by HE Mohammed Al Zubair representing His Majesty Sultan Qaboos worked both within an Arab and world context, holding consultations with fellow Arab delegates, but also participating fully in this international forum. One message that came out of the event was said to be that: "ICT is an engine of development with the Internet at its source," remarked Al Isamaily. All nations have to recognise a global plan for leveraging a coherent policy on ICT and must move from principles to action. What about the picture in Oman itself where the government has done much to promote the concept of the Digital Society? Progress in 2006 is expected to be swift and it will be helped by the fact that we now have Nawras and Omantel, two commercial telco operators. The Ministry of National Economy is also behind a plan now in its early stage, of opening centres, where citizens who wish for assistance in resolving ICT issues can come for help and support. 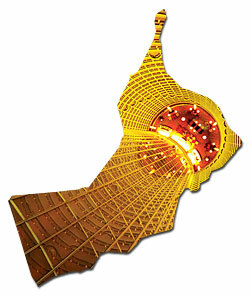 For Oman, 2006 is going to be a key year in working towards convergence and the narrowing of the Digital Divide.